Coat Hook, Three Hook Strip (Stainless Steel) – Shop Buddsteel! Coat hooks are fabricated from 12 gauge (.1″) thick solid stainless steel. Hook ends are 1″ (2.54) radius with all edges deburred. 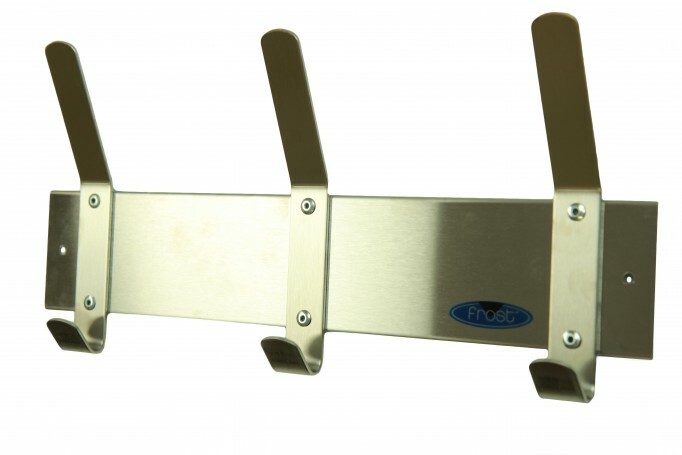 The steel hook strip is fabricated from 20 gauge stainless steel.